Today I am feeling inspired to connect with you all on the importance of honoring our “sensitivities’” rather than SEE yourselves as flawed and weak, I encourage you to begin to “shift this perspective” to SEE yourselves with great love and acceptance for the unique and beautiful beings you truly are. As a child I grew up hearing things like “You’re so sensitive”, “what a baby”, “what’s wrong with you? You need to toughen up!” “Don’t take things so personally” and the list goes on. I struggled for much of my life with just being me, always thinking something was wrong with me. I truly had been programmed from early in life to believe something was wrong with me by others. I was sensitive, I did FEEL everything, and I knew so much about people in a way that seemed to frighten them. People just couldn’t really fool me, I knew what they were not saying, what they were not being honest with. I KNEW!!! I felt their pain at times, their sickness, to this day I can walk into a Starbucks and FEEL a contact high just being in the energy of all the caffeine highs, I don’t even need to drink it I FEEL it! After many years of this self-worth struggle, I decided I had enough. I like to call this my “awakening” because it truly was as if I suddenly began to SEE myself with more honor, love and compassion than I had ever felt allowed to before. I started to trust my inner knowing, over what anyone would tell me with their words. The more I trusted the more truth was revealed to me. I suddenly stopped resisting myself and allowed my wisdom and uniqueness to flow….Ohh baby did that Shift things in my life! Many who I had attached myself to from my fear and insecurity began to “show their true intentions” and I observed as many humans fell away from my life energetically and literally. I will be very blunt and honest here, once a soul awakens and allows truth to flow…Everything shifts. For many living in ego and with deeply held belief systems, fears and attachments this awakening can seem like torture & death. Yet I promise you that if you go with the flow and trust, trust, trust that the universe is working everything out in your highest alignment…Miracles will flow to you and through you! It is TRUE! One must align with their Source and continue to align with highest truth and Love to truly experience joy, freedom and wellbeing. It takes great courage to live in this way on a planet full of humans that are still in their own awakening process. Yet I assure you the journey is worth it on all levels and the greatest changes will happen within YOU. This choice to live in the highest alignment is a personal choice, one we all must make for ourselves, no one can do you’re shifting and alignment work for you. 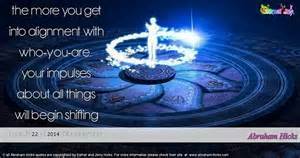 As an Intuitive healer I assist in these shifts, yet the client chooses to align and to return to wholeness. It is often very helpful to work with an aligned and loving healer because we have the ability to SEE though the darkness, we can assist you with SEEing what is unconscious that you have worked so very hard Not to SEE. We assist in pulling to the surface all the energies that are blocking you, the belief systems that are holding you back from your soul’s greatest expansion and joy. We SEE the cellular patterns from traumas from this and past lives that may be replaying in your life situations. Cellular memories that until addressed will continue to play again, and again, and again until they are cleared and released and lessons are understood. This is why the clients I assist have such swift and profound shifting, because they are being divinely guided to SEE the things they have tucked deeply away…this takes courage to SEE and will challenge the ego on every level. Yet I assure you as you open yourself to understanding the pain, the past, the trauma, the fears, the blocks…You will be liberated and freed from these painful energies…Enter the Miracles! These days I honor my “sensitivity” I accept myself fully and lovingly it is my joy and pleasure to assist the souls the angels summon in to work with us. 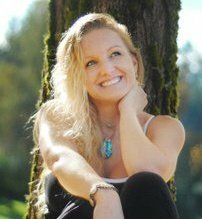 I LOVE inspiring alignment and empowerment in other’s it is a beautiful fulfilling life I am leading, now that I am honoring my body, mind and soul in all it’s uniqueness and beauty. I have learned to honor my own healthy boundaries, and I enjoy leading workshops and healing seminars inspiring others to choose this alignment for their own joy and fulfillment. I share this because….what if I never chose to heal myself? If I never opened myself to the assistance of the angles, and of healers? What if I was still living small and in constant fear and insecurity….Well I certainly wouldn’t be writing this blog, or enjoying speaking to the masses through our weekly internet show, or enjoying the bliss of one on one and group healing sessions as I encourage and inspire alignment in others….I am sure I would still be struggling, in poverty, in fear, in lack, and in pain. I know that with every fiber of my being! Was it work for me to shift all of this….HELL YES and was it a constant journey of awareness, of releasing fear and opening to greater Love…YES! Is this constant choice of alignment worth it? YES YES YES!!!! If you can each SEE me as a mirror for your own power, and potential just imagine the possibilities awaiting you as you choose to open yourself to the assistances of the Light, the Angels and to work with honest aligned healers like myself for a few life transforming sessions. 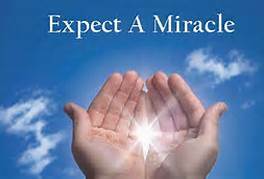 I know that absolute Miracles are awaiting each and every one of you…But YOU must Step In! YOU must do your healing work! YOU must realign and ask for help! YOU must stop saying you can’t afford it or that you don’t have time…That is a lie! We all choose what we spend our money and time on…perhaps it is time for you to spend your money and time on more efficient energies that will bring about the greatest return for YOU. Investing in more aligned directions rather than superficial ones that bring only temporary relief and distraction (fake nails, dying your hair, caffeine addiction, drug addictions, Any hurtful addictions that keep YOU stuck)….think about it, it is TIME to truly LOVE YOU! YOU must honor those ready to share their wisdom and guide you back to your own! YOU must Choose Alignment and no longer live a life of shame, denial, and self-rejection…And I know this, whether you contact the angels today & call us for a healing session or whether you procrastinate this choice another day, month or year….That work, that alignment, that shift will be patiently waiting for YOU to Step In and Claim all you truly deserve. The way I see it my soul is all about expansion and alignment in a fun, playful efficient way….So you can delay your joy, health, abundance, and empowerment or YOU can CLAIM IT NOW!!!! For me, I choose Now! I know that if you are reading this blog right now, and I still have your attention and you haven’t moved on to the next distraction, there is enough consciousness in you now to choose great shifts. If you are still reading I bow to you with the greatest honor and Love. Will this shift take effort? YES! Will it take constant awareness of thoughts and emotions? YES! Will it cost you money to work with an aligned and empowered healer? YES! Will this investment be far more valuable than the money you honor your healer with for a few sessions to clear you, connect you and realign you body, mind and soul? YES YES YES!!!! Fact is everything is valuable. Regardless of the occupation our time, our Love, our wisdom, our help, our products and energy are all valuable. I am here to represent a great and empowering shift on this planet for the Light workers, the healers, the spiritual warriors and assistants. We are No longer to be seen as martyrs giving everything away for free and from obligation or guilt…We are here to be shown the greatest Love, honor and reverence for assisting humanity with the most important shifts, with soul healing, and realignment of a planet of beings calling out for this help! We are here to help those who SEE us and are ready to do their work. I understand that not all will choose the courageous choice of facing their stuff and healing now, and I honor every choice. I AM here to assist the ones who Are Open, Receptive and Ready to shift and co create a beautiful empowered life of infinite miracles! If you are not ready or open, claim that choice as your own rather than expressing that a healer is “too expensive” and projecting your own fear and lack as an excuse to staying stuck while shaming a healer for following their own intuitive guidance. I know that I myself will always work with clients that are open, ready, honoring and respectful. I have often assisted souls with payment plans. However do not take this as a weakness or a way to take advantage of my generosity and care for YOU. Show respect, honor your agreements and live with integrity everyone will benefit from that aligned choice. I know I Deserve respect and to be honored for the Awesome healing assistance I offer that is uniquely my own. My being a healer does not mean I have to work with you, please keep that in mind. I always listen to my inner knowing and practice great discernment on who I FEEL I am to assist. I am mirroring the importance of healthy boundaries to each of you, please practice this in your own lives. I AM here to live in my power and alignment and I will not cater to manipulation or victim consciousness, so if you connect with me from this space I will lovingly release you until you are energetically ready to Step In with honor and respect. I encourage each of you whether you’re a person ready to Step In and get deep into your healing and Re-create your life in alignment or you are a healer ready to step fully into your power as a leader and assistant for the light. Alignment and Honor of yourself and others is vital. I encourage each of you to start to open yourselves to SEE each other with Love and honor and to show your respect and reverence. What if we each shifted our egoic perspective of “what’s in it for me? And what if someone takes advantage of me? By trusting your inner knowing and discernment. To Spirit assist me in showing honor and reverence to ALL….Assist me in living in my highest alignment at every moment with Self Love…I AM the change I am calling forth! What if we all woke up each morning with the intention of “How May I Serve and Assist while maintaining my own alignment of Self Love?” What if? I send You All great Love, Light and will hold the aligned vision of every human choosing to heal NOW….Every human choosing to Shift their perspective away from lack and fear and into the alignment of Abundance and Unity consciousness…Every human choosing health, wholeness and alignment Now! IT IS Happening and YOU are the savior YOU have been waiting for!!! Stop the procrastinating, the shaming, the blaming and Come Back Home! 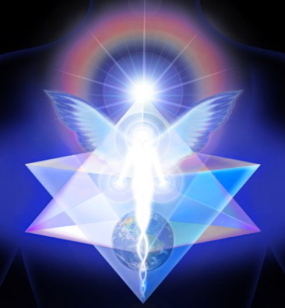 I welcome any feedback on your heart felt feelings from this blog, your awareness, you passions, your desires…I welcome it ALL and I SEE YOU all as the Mighty and Deserving Beings of Light YOU were born to BE YOU ALL have some very important Life choices to make the angels say…Don’t delay another day, choose alignment NOW! 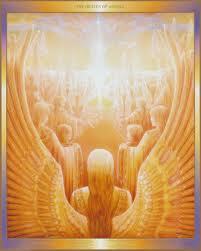 Infinite Blessings, Tawnya Love and the Mighty Angelic Beings of Light who are leading and lighting the way!